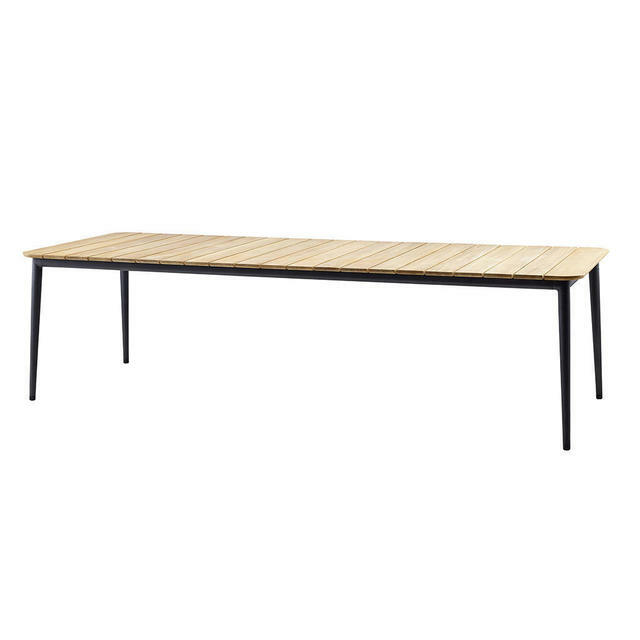 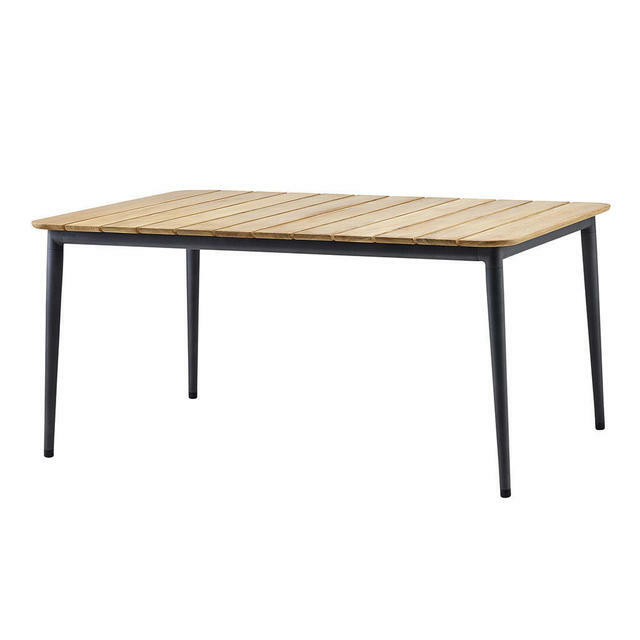 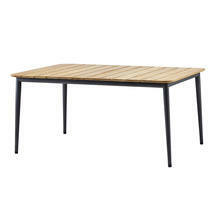 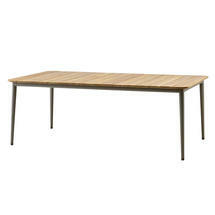 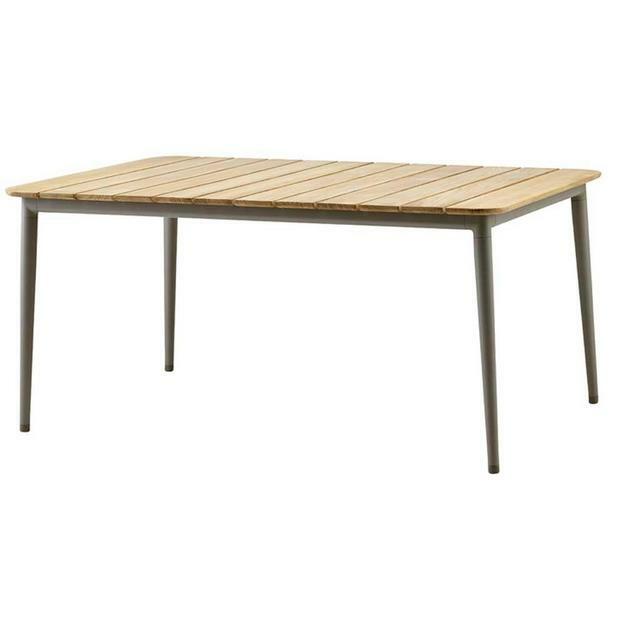 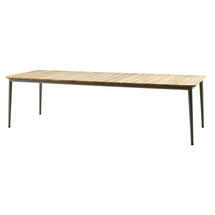 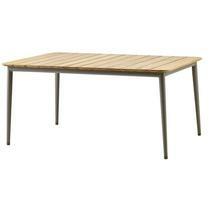 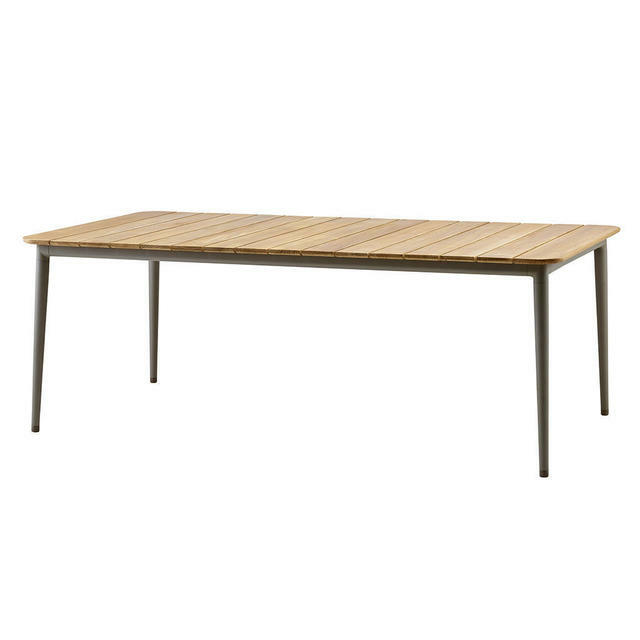 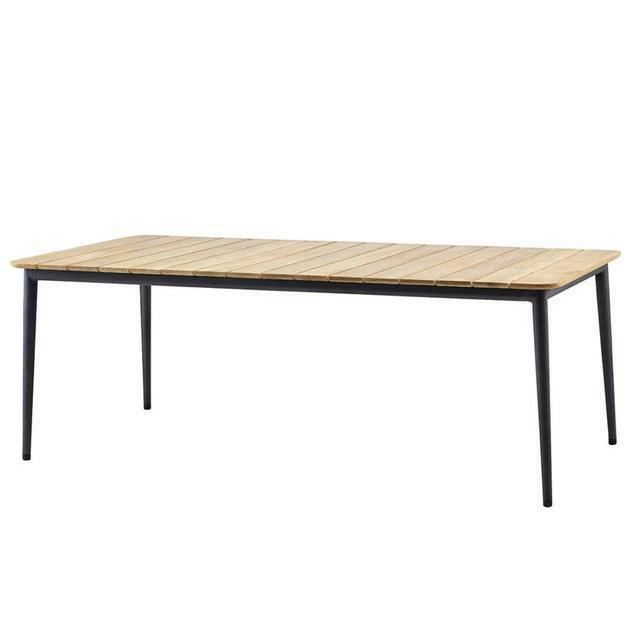 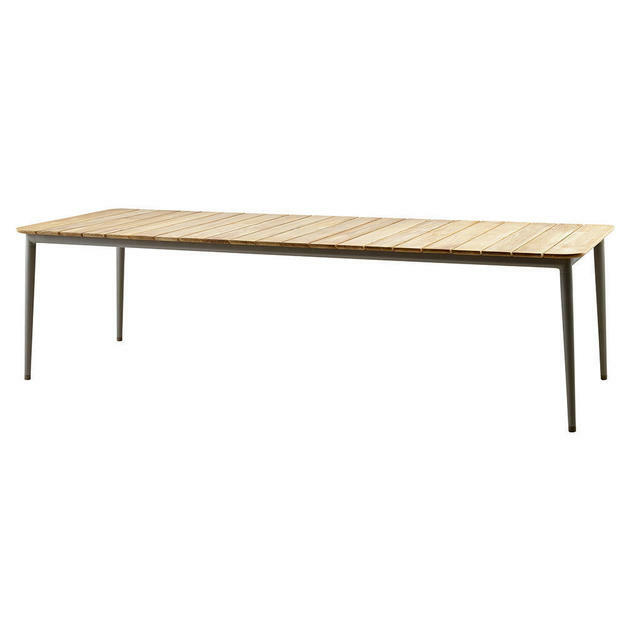 The slatted teak top table has broad panels on an aluminium frame which is stylish and informal. 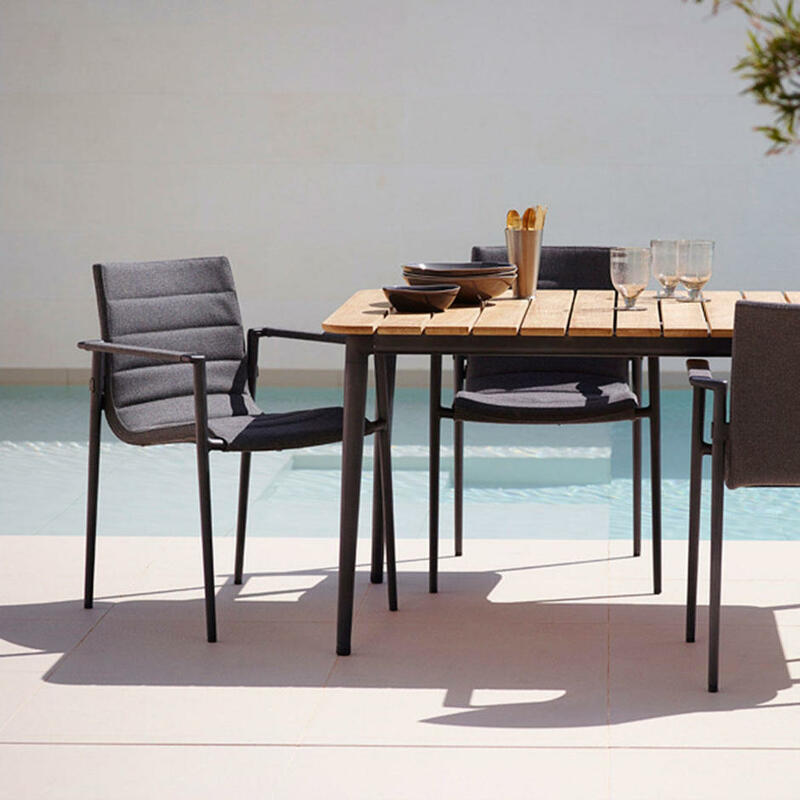 And to complement beautifully Core Dining Chairs with and without arms. 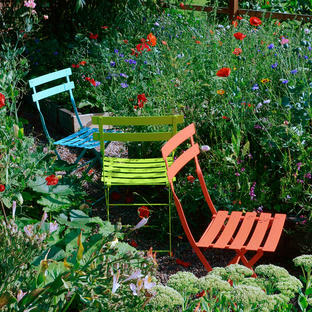 Also available in the Core collection are relaxing chairs and deckchairs. 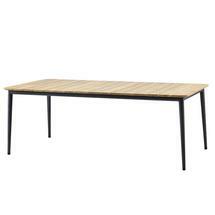 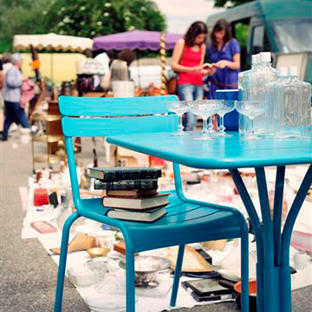 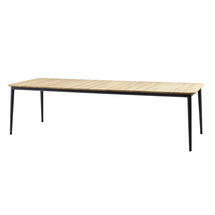 Table base is made from Cane-line Powder Coated Aluminium.